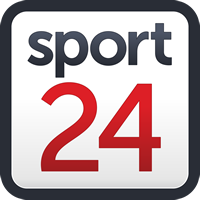 Faf du Plessis expects an evenly contested challenge between South African and Pakistan in the first Momentum one-day international (ODI) at St George’s Park in Port Elizabeth on Saturday. Du Plessis returns to lead the side after missing the final test of the 3-0 whitewash due to suspension, and is wary of a fightback from the reigning ICC Champions Trophy holders in a format of their strength. Both teams have welcomed new faces into their respective squads, and will be using the series to finalise squad combinations ahead of the ICC Cricket World Cup later this year. The Proteas have 10 official matches left ahead of the tournament and will be hoping to have all their selection questions answered by the end of the series. “The test series went really well,” Du Plessis said at St George’s Park on Friday. “In saying that, I think Pakistan is a very good one-day side. They will be the first to say that from performances over the last year their one-day side has been much stronger than their test side. It will be a nice challenge for us. They are ICC Champions Trophy winners from 2017 and we are a one-day side that is also trying to find balances within our team. With Quinny (De Kock) and Dale (Steyn) rested for the first two games, it gives us an opportunity to see what else we need to look at, that is important. Pakistan have never lost a match at St George’s Park winning three out of four (one no result), and interestingly, former batsman Saleem Elahi holds the record for the highest ODI score (135) at the ground posted in 2002. The Proteas are ranked fourth on the ICC ODI team rankings while Pakistan lie close behind in fifth position.